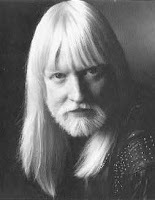 Oh man, you had me at that picture of Edgar Winter. I opened the page, looked at that albino magician and went, "this guy's gonna make a Gwyneth Paltrow crack," and you followed through. Wow. I know everyone is coming up with Frankenstein jokes now. I have to disagree on Jeff Bridges sucking though. The dude abides no matter what.